At 11 ‘o’ clock A.B. 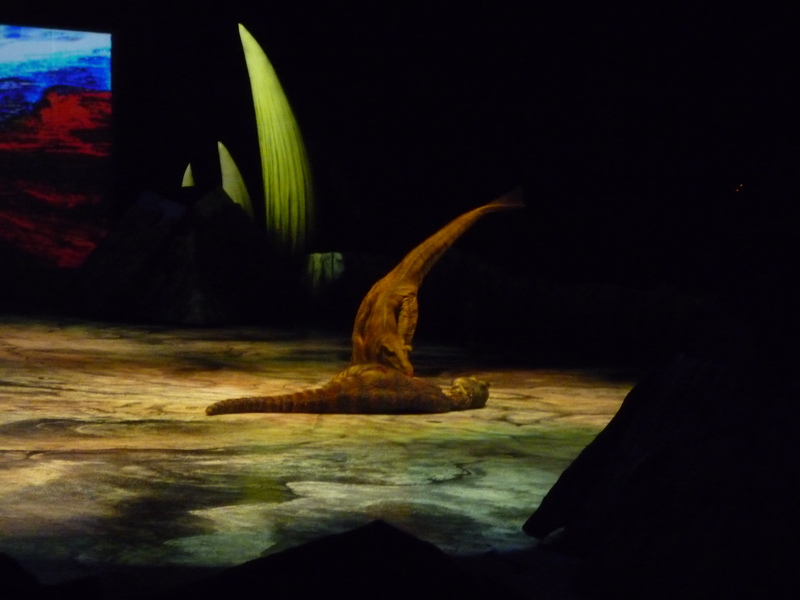 (after breakfast) today great prehistoric beasts roamed the floor of the M.E.N. 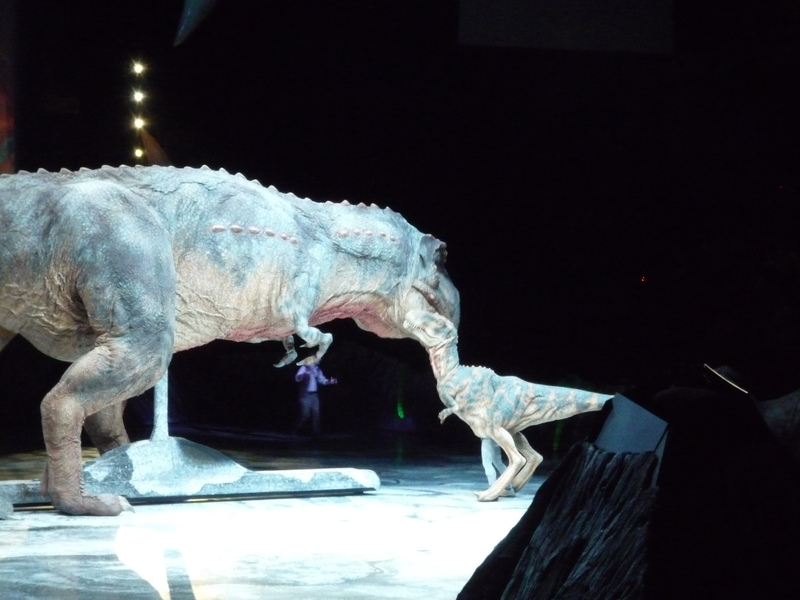 Arena in the latest performance of the worldwide phenomena of Walking With Dinosaurs. 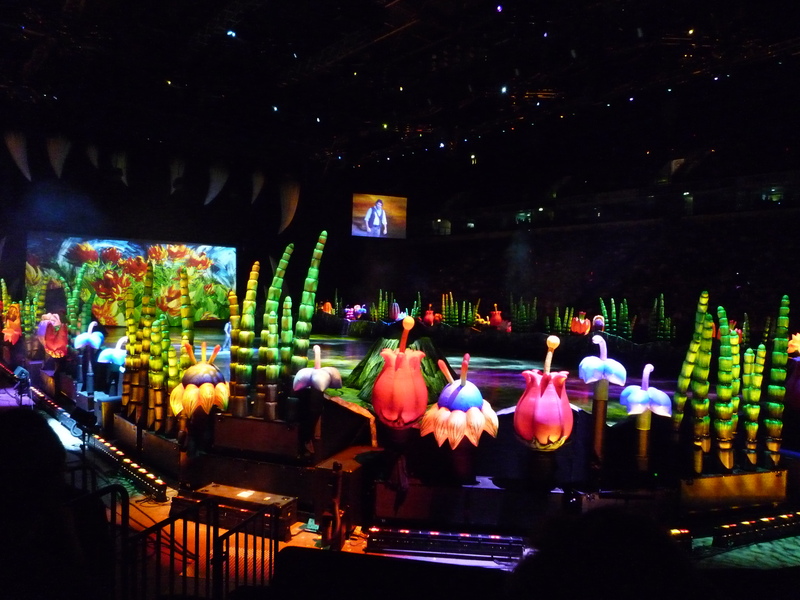 This £10 million arena spectacular, based on the BBC TV series, has roared into town and has been delighting audiences for the last few days. 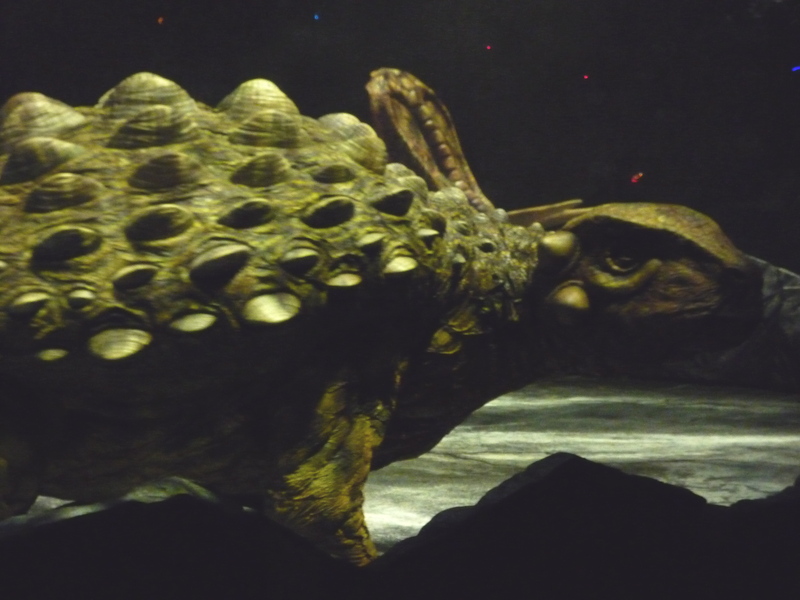 From rippling skin to the blink of an eye the beasties have been expertly designed to look as realistic as possible. 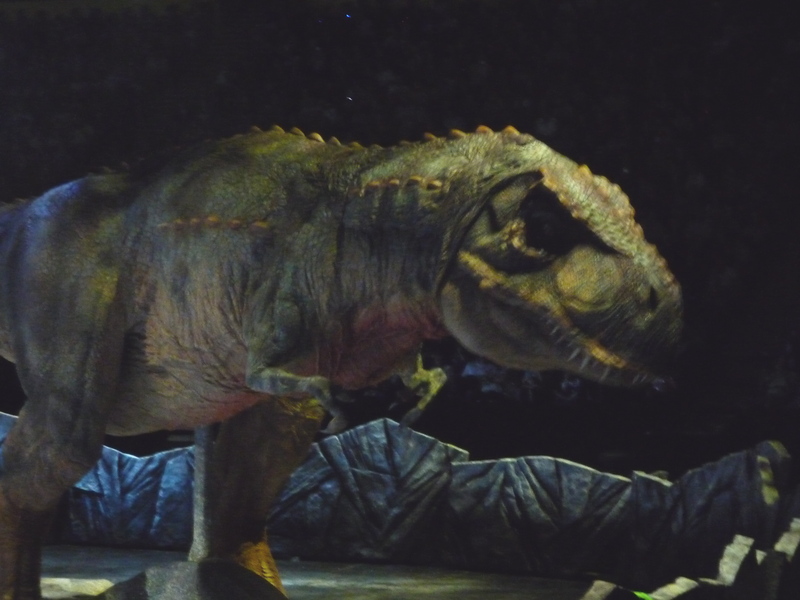 The dinosaurs are animatronic giants especially the Daddy of the dinos Mr T-Rex… who raised gasps from the big kids and the little ‘un’s. 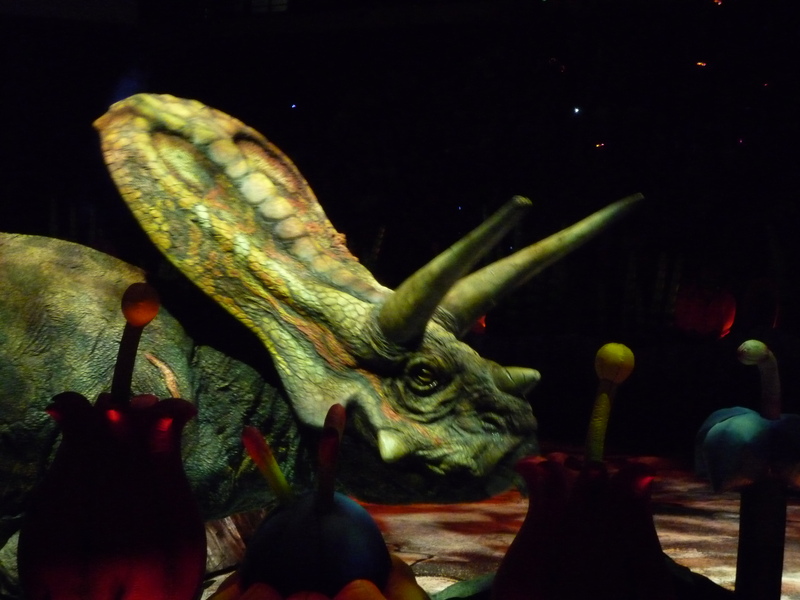 The dinosaurs are now extinct once again in Manchester but are touring the UK until the end of August visiting London, Birmingham and Liverpool.